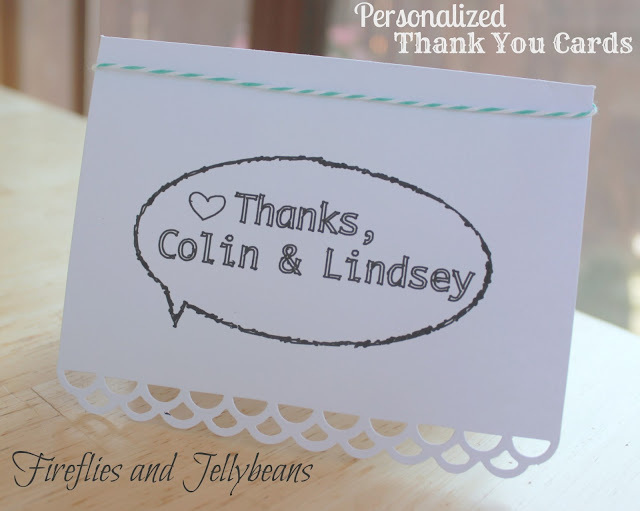 Fireflies and Jellybeans: Personalized Thank You Cards DIY and Silhouette Promotion! Personalized Thank You Cards DIY and Silhouette Promotion! My Friend is getting married in October! And her shower is coming up! Since I have to give a little hand-made something to everyone (I am getting known for it now!) 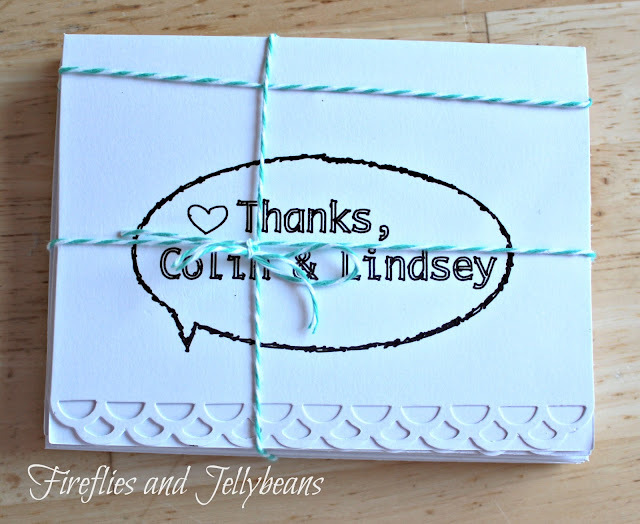 I decided to make some personalized Thank-You Cards! I know that they will need them! I used my NEW Silhouette Cameo and Sketch pens! 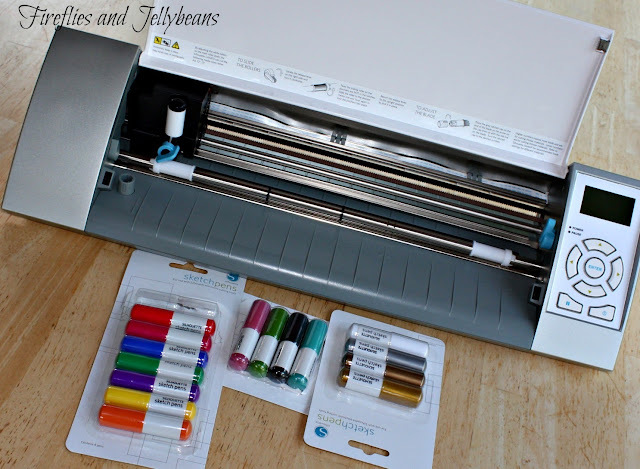 Oh-My-Goodness- these are so much fun! There is an awesome promotion going on this week so be sure to check out the details at the bottom of the post! 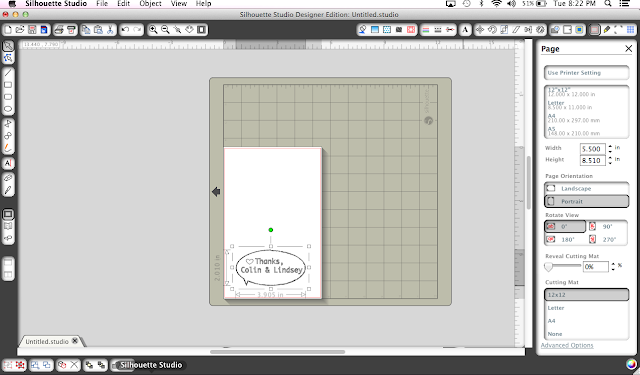 I created the sketch design in my Silhouette software. I also upgraded to the design studio. HERE is the tutorial I used to make the sketch picture. 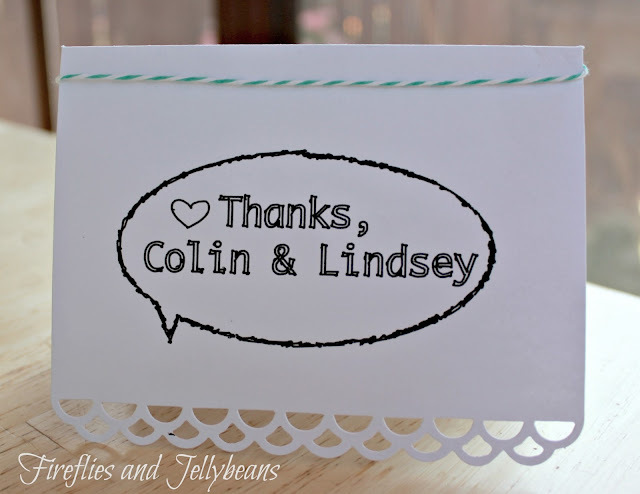 I already had pre-made cards, but the tutorial shows you how to cut out a card shape too! 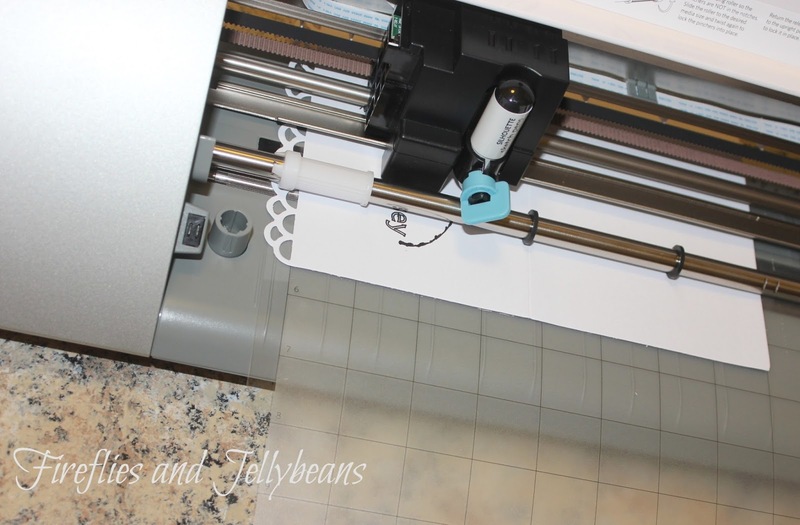 I replaced the blade with the sketch pen and sent the picture to be "cut" to the cameo. It is so fun to watch the pen sketch away! 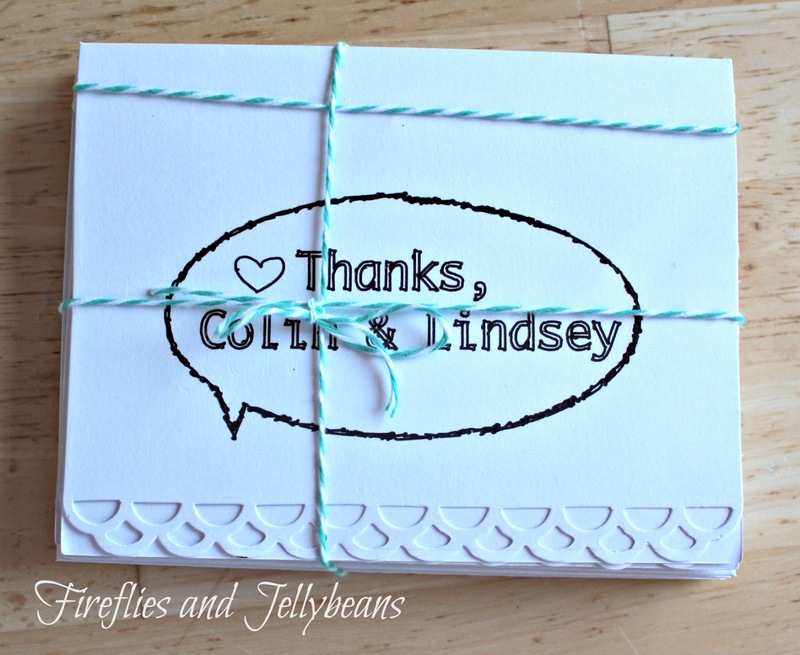 I repeated for a set of 8 cards and added the envelopes that match. 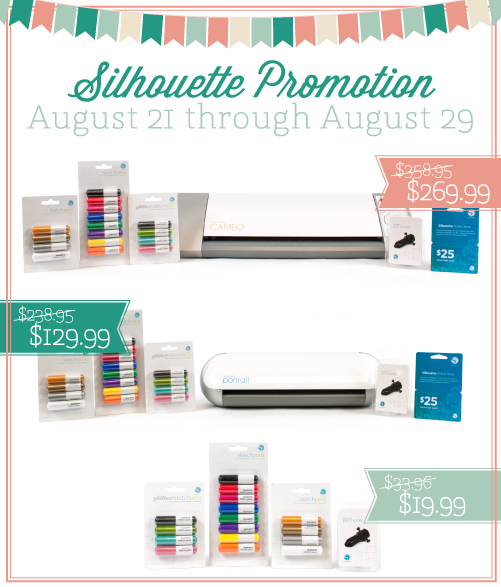 Ok here is the awesome promo that Silhouette has going on right now! To order your own go HERE and use the code: FIREFLIES and the deal is all yours!